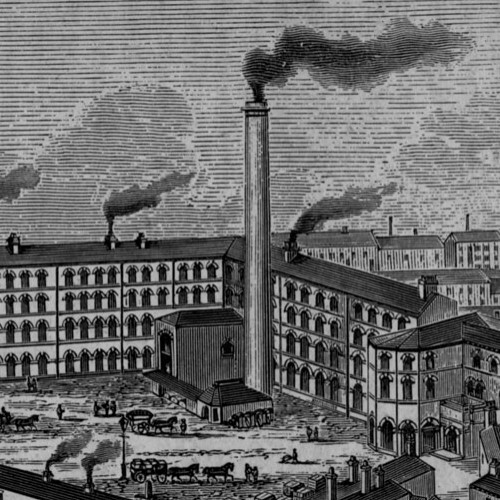 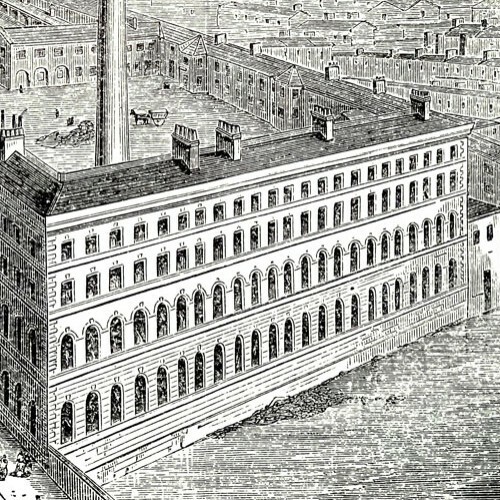 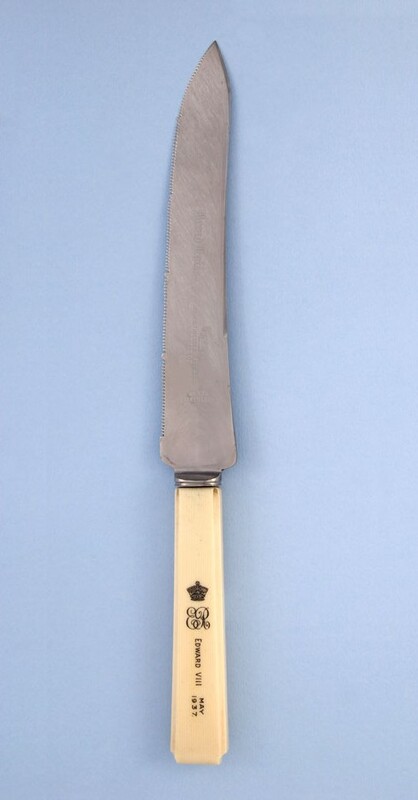 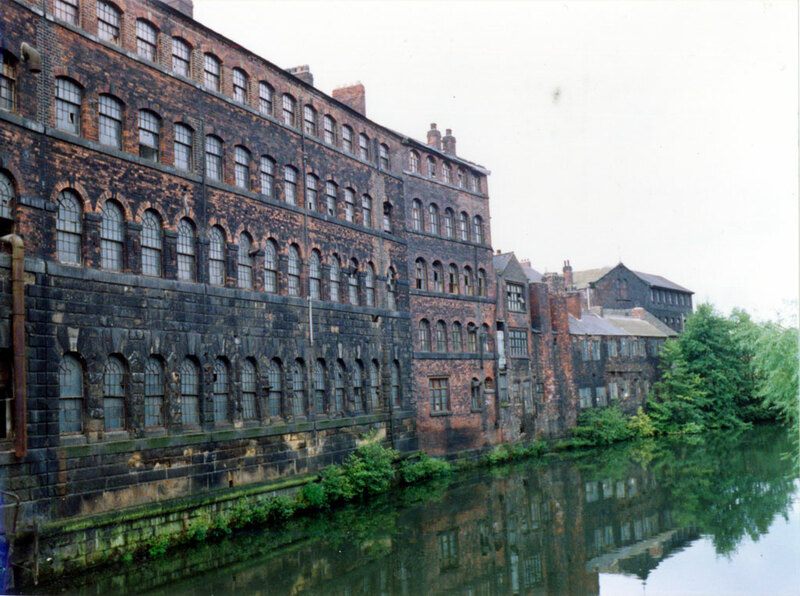 This was among the largest cutlery manufacturers in Sheffield, who worked from a purpose built factory called Cornish Works on the River Don. 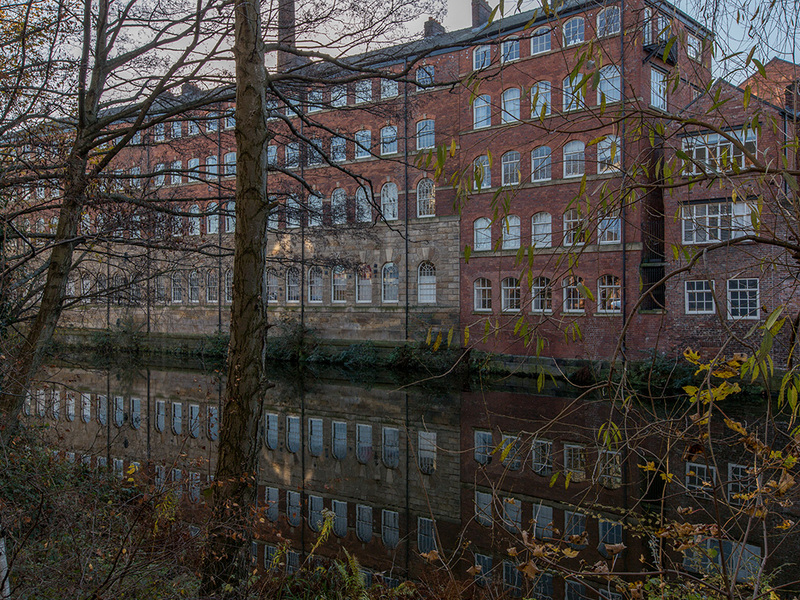 They moved to the new factory in the 1822, when it was ‘surrounded by beautiful woodlands and green pastures…and the Don…was a salmon river of considerable importance’, and stayed until the closure of the business in 1992. 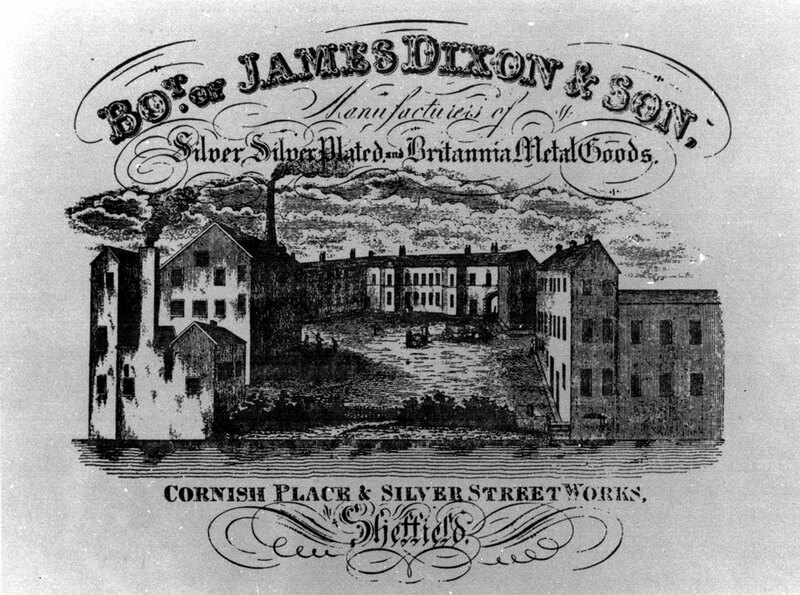 On founder James Dixon’s 70th birthday in 1846 he was presented with a silver epergne by the 400 employees, which cost 200 guineas. 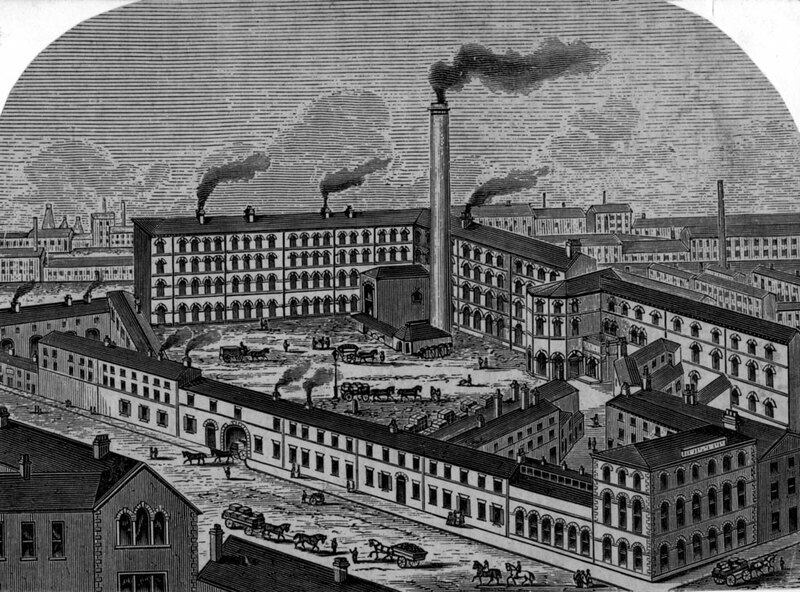 Thanking them he said that ‘when he commenced business in 1805 he determined that nothing should go out of his factory bearing his name that should disgrace him, and this has been the keynote to the reputation of his firm’. 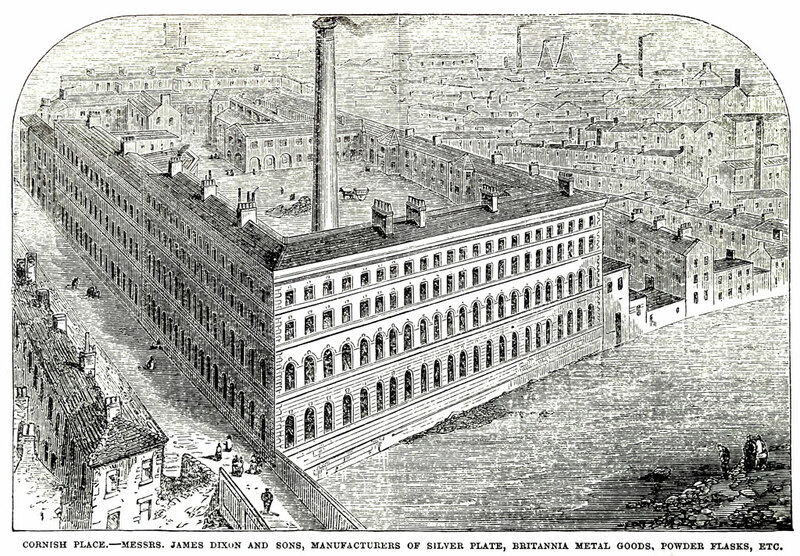 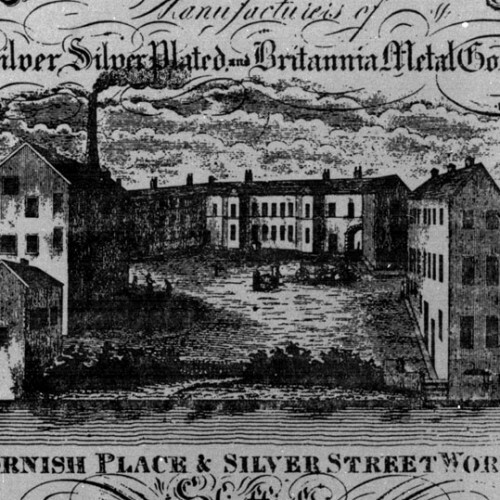 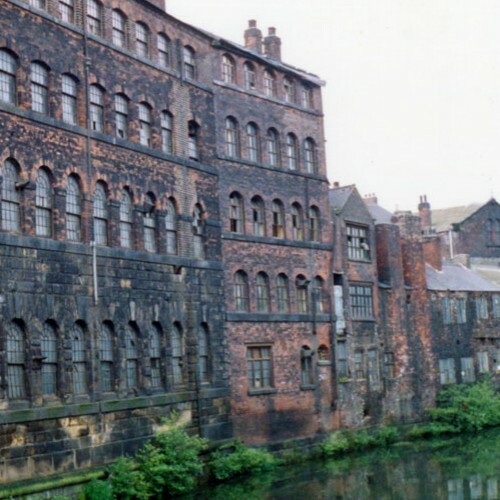 Dixons made their fortune by making cutlery and household objects from Britannia Metal, an alloy of tin, antimony and copper, which looked like silver when polished and was a fraction of the cost to produce, Old Sheffield Plate and pewter ware. 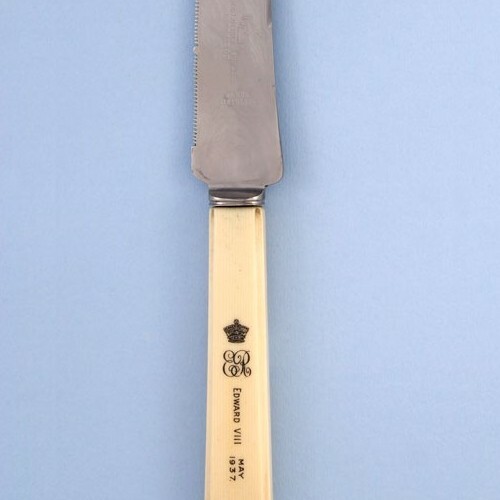 Later they produced electroplated objects, high end silver items, and were well known for their work on sporting and commemorative trophies. 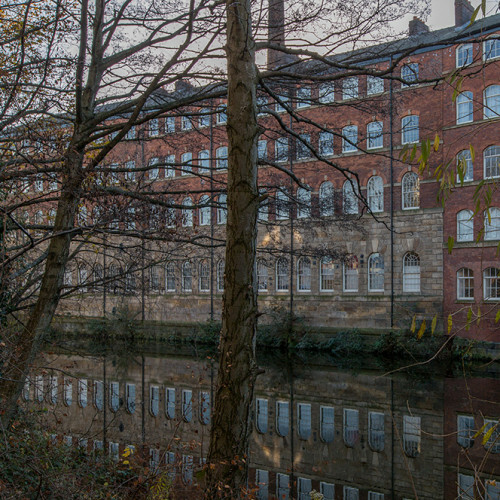 The works is now converted into an apartment block, Cornish Place.